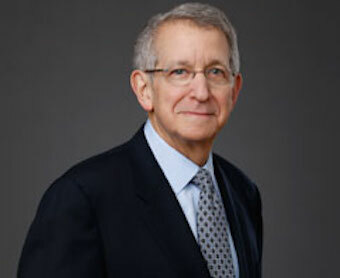 Lloyd Siegel worked for NBC News for more than 40 years as a reporter, producer, and manager. He now consults and lectures on newsroom issues. Most recently, he was NBC News vice president for news partnerships, with overall management responsibility for the division’s relationships with more than 230 owned and affiliated stations. The news partnership unit provides editorial and promotional support for stations, assists them in making maximum use of their affiliation with NBC News, and shares best practices for coverage and audience engagement. Earlier in his career at NBC News, he worked as a reporter for WKYC in Cleveland and WRC in Washington. He also served as a field producer in the NBC News Washington bureau, participating in coverage of many key Watergate events and managing the bureau’s White House trip coverage. Returning to WRC, he produced the 6 pm hour of Washington’s first two-hour early evening newscast. In New York, Siegel served as domestic news producer for NBC Nightly News for six years. He was then appointed executive producer of news specials and ran live coverage of the Challenger disaster, the Lockerbie bombing, Tiananmen Square protests, and other breaking news events. In that position, he also produced AIDS Fear/AIDS Fact with Tom Brokaw in 1985, the first network news broadcast devoted entirely to that emerging epidemic. As political editor, Siegel managed day-to-day coverage of the 1992 presidential campaign. Siegel was selected for the Radio Television Digital News Foundation’s First Amendment Service Award in 2013.